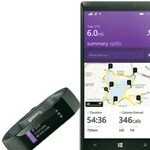 Ita��s only been a few years since digital bands started appearing on peoplea��s wristsa��counting steps and telling you how many calories youa��ve burned. Now with ever-more wearable gizmos in the market, we find that not everyonea��s a fan. a�?I used one for a couple of weeks, but it was chunky and I stopped wearing it when people kept asking me what it was,a�? says Arun Murugappa, MD of Parry Enterprises, who says he might buy a sleeker one just for when he exercises. According to marathon runner Neville Billimoria, smartbands are a beginnersa�� favourite. a�?When you start running, you want to know how many steps youa��ve taken. But more experienced runners lose interest in that, and quite often, in the band too,a�? he says. However, he admits that hea��s been a Garmin user for four years. a�?I only use it when I run and that too as a tool to motivate me, to compute which kilometre I slow down at.a�? On that note, we look at the new players who are offering more than jsut the regular features. The maker of the popular Striiv Band has announced their nexta��Striiv Fusion, an activity tracker with smartwatch capabilities. 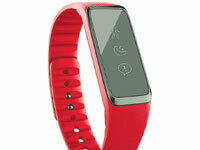 Besides monitoring your active moments and sleep quality, it receives call and text alerts. Will.i.am, of Black Eyed Peas, wants his share of the wearable tech pie. Hea��s announced i.amPULS, a smart band with a fitness tracker (tracks steps, weight and calories burnt), that can make calls and send texts, has a GPS map system and a music player, besides access to social network sites like Facebook and Twitter. With 1 GB of memory and 16 GB of storage and Bluetooth connectivity, it promises to be functional and fashionable. Pre-order at iampuls.com. Catching your 40 winks is crucial to performing your best. Fatigue Science, a startup from Vancouver, has come up with a solution to track sleep, fatigue and reaction time. Readiband uses the biomathematical fatigue model created by the US Military, called SAFTE (Sleep, Activity, Fatigue, Task, Effectiveness), to collect your sleep data and calculate your fatigue levels. The makers promise this would be a great way to calculate mental effectiveness at the workplace and analyse personal accident/fatigue risk. 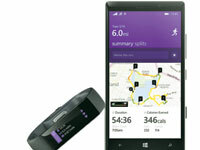 Building on its popular suite of fitness and health apps, Runtastic has launched its fitness band, Runtastic Orbit. Waterproof (and with a weeka��s worth of battery life), it comes with all the regular features, and also has an ambient light sensor that measures sunlight exposure. A a�?wearable coacha��, it uses 3D sensorsa��a nine-axis motion-sensing systema��to not only track the type of movement youa��re doing, but how youa��re doing it (its accelerometer and gyroscope detect movement in space and force of motion, and its magnetometer measures rotation). Then the voice-enabled device teaches you how to exercise properly. Currently it covers running, boxing, swimming (yes, its waterproof), cycling and body weight. with 3D Motion Capture Add on: Plans to incorporate martial arts and a physical therapy app soon. 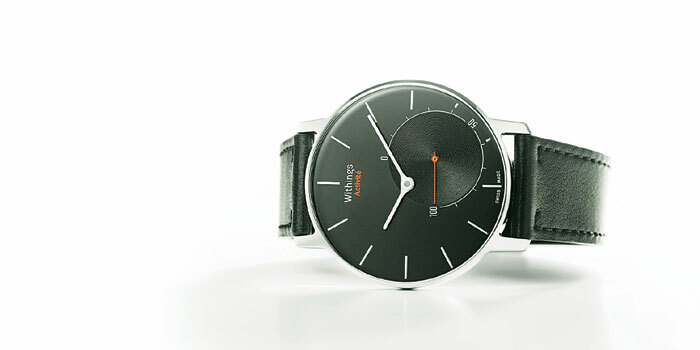 It may look like a regular watch, but this one blends time and activity tracking. Swiss made (with a French design), it monitors swimming (50 m water resistance) and your sleep patterns, besides all the regular functions. The watch connects with the Withings Health Mate app to help you plan your activities, customise your fitness goals and even set an alarm. 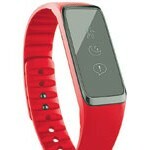 Besides the basics, this home-grown band (launched earlier this year) connects you to a fitness coach who will help you convert the data it captures into usable information to incorporate into your daily routine. So you can set goals, tweak your diet and get advice on how to stay more active.